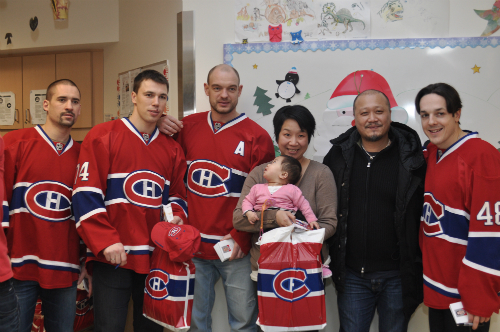 Here are a few highlights of the Montreal Canadiens’ hospital visit yesterday. It was an afternoon filled with joy for many of our young patients! Thanks again to all the players who took time out of their day to bring smiles to kids who need them most. 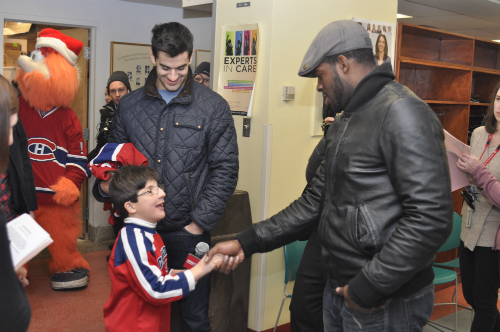 Our patient ambassador for the visit, 9 year-old David Saracino, greets the Habs players. The team poses for a group photo with David Saracino. 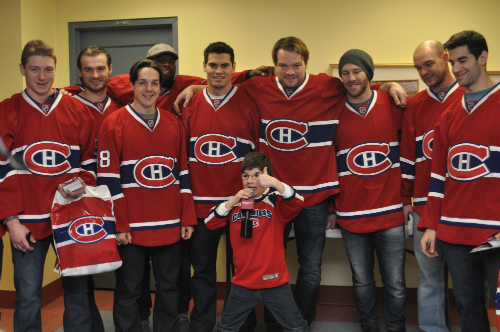 A nice group photo with Tomáš Plekanec, Alexei Emelin, Andre Markov and Daniel Brière. 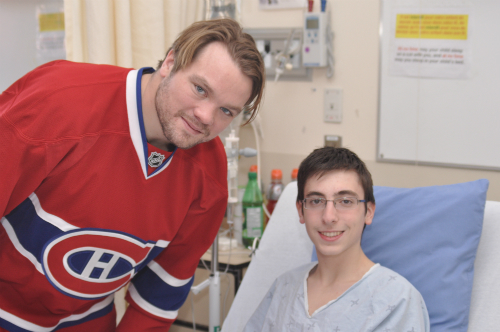 Defenseman Douglas Murray brightens a patient's day. 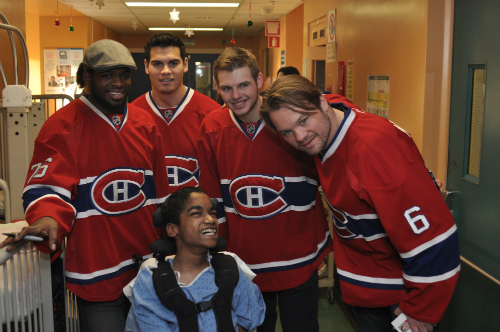 Alex Galchenyuk, Rene Bourque, PK Subban and Douglas Murray with a very happy patient.